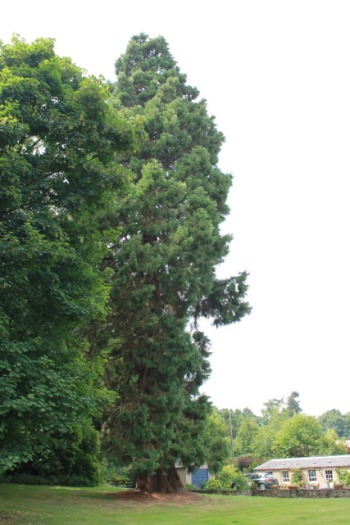 Thanks to Chris who sent these photographs of Wellingtonia in Berkshire. 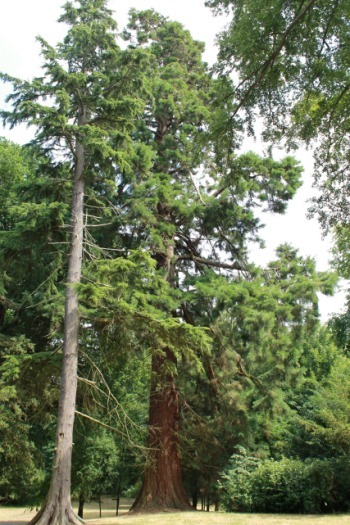 He says, "I found these Wellingtonia in the grounds of Lees House, Coldstream, Berwickshire at grid ref NT 839404. OS Landranger Sheet 74. There are six trees in all. The first, closest to the entrance to the grounds just off the A697 Edinburgh road is about 95 feet tall and has a massive girth of 30 feet. The second, about 50 yards away is of similar height but smaller in girth. There are two more trees nearby of much smaller girth still. The public may stroll through the grounds of the house and beside the River Tweed keeping to the waymarked paths." 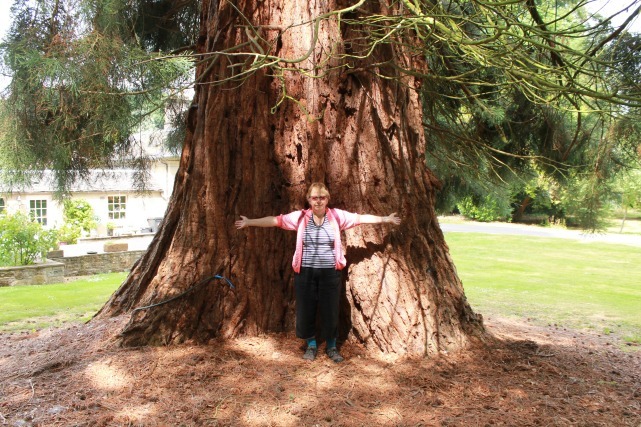 Chris later says, "The tree had been remeasured at 29 feet. It does look huge at base level and is well worth a look."